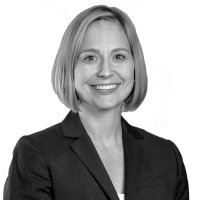 Melissa represents private and public sector clients in commercial, regulatory and administrative matters. Most recently, she has defended the Massachusetts Gaming Commission in a number of cases challenging the Commission’s award of a casino license to Wynn Resorts. She is also representing, on a pro bono basis, several Boston Public School students and various organizations in their efforts to preserve the statutory cap on the number of charter schools in Massachusetts. Melissa advises airport owners on federal regulatory compliance and represents them in civil litigation. Melissa has defended airport owners across the country in Part 16 proceedings before the FAA. She routinely advises airport owners on federal grant compliance, and negotiates with FAA to resolve significant grant disputes. Melissa authored an amicus brief in the 9/11 litigation pending in federal court in New York on behalf of the leading airport trade association, Airports Council International. Melissa also represents municipalities in litigation and other forms of dispute resolution in a range of matters, such as land use, environmental and contract disputes. Melissa also has been admitted on particular matters in several courts around the country. Successfully defended the Massachusetts Gaming Commission against challenges by the City of Boston and the City of Revere to the Commission’s award of a casino license to Wynn Resorts. Successfully defended an airport proprietor in prominent antitrust and RICO litigation in federal court in Massachusetts. Defeated two lawsuits challenging a healthcare provider's decision to require prior authorization before providing coverage for compounded drugs. Authored an amicus brief on behalf of Airports Council International in the 9/11 litigation. Successfully defended airport owners in Part 16 proceedings concerning FBO fueling rights. Facilitated airport owners’ resolutions of significant grant disputes with FAA, including, for example, disputes involving the alleged diversion of airport revenue, releases of airport land, and ACDBE compliance. Successfully negotiated with FAA to obtain a substantial reduction of a civil penalty in FAA enforcement action concerning shipment of hazardous materials. Massachusetts Airport Managers Association, “Airport Commissioner‘s Roundtable”, September 2018. In her free time, Melissa enjoys hiking, cycling, cooking and traveling. She spends most of her time outside of the office, however, attempting to tame her energetic children.